I can't believe I missed my two year Blogiversary. 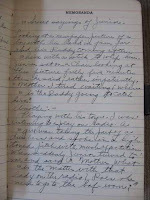 I started this blog on March 10, 2011. As I thought about what to write here, today, I went back through the past 12 months and re-read some of my posts. Do you ever do that? I shyly, but immodestly, have to say some of them were pretty darn good. While I reminisced, I noticed that my writing has tapered off slowly, but steadily. I got all melancholy then, and realized how much I miss writing. I also figured out that the more I write, the more I want to write. Following that same line of logic, I find that the less I write the harder it is for me to get motivated to write. All of that is about to change very shortly. Why? Several reasons. First, I feel good when I write. I need to do a little more of that...feel good and write, that is. 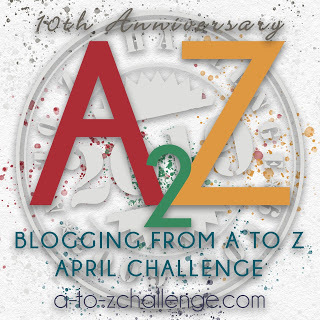 Second, but not least, I am about to jump in with both hands and 9 fingers and participate in the "Blogging From A to Z April Challenge. Start with the blog after yours on list. We suggest visiting five blogs a day and you are welcome to visit more!" Simple enough, huh? 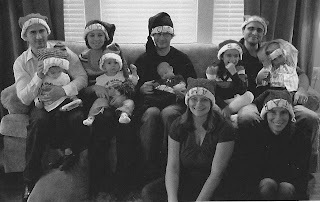 I participated last year and met some awesome new-to-me bloggers. Some of them have been and continue to be life lines for me. These special blogoshpere friends have provided much needed encouragement and support for me and always just at the right moments. I have to admit, for me, the biggest challenge was to come up with creative ideas. Once I got over that hurdle, the writing came easily enough. If you want to know more about the challenge, check it out here A to Z. One more thing, I can't let my two year Blo-GIVER-sary pass by without a thank-you of some kind. 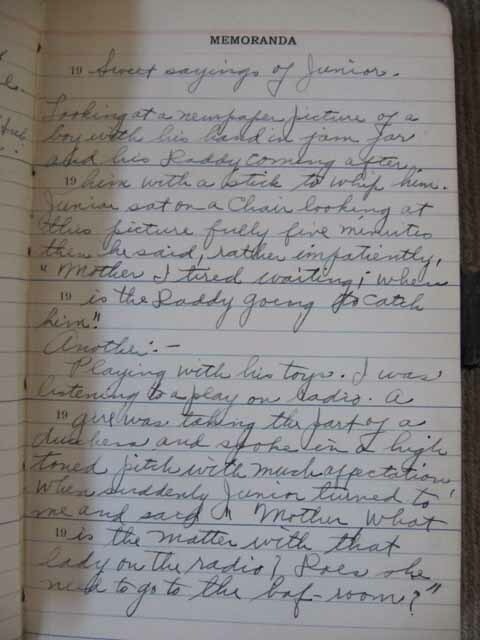 One of the things I did during a big part of last year was post entries from a diary written in 1929 by a woman named Anna. 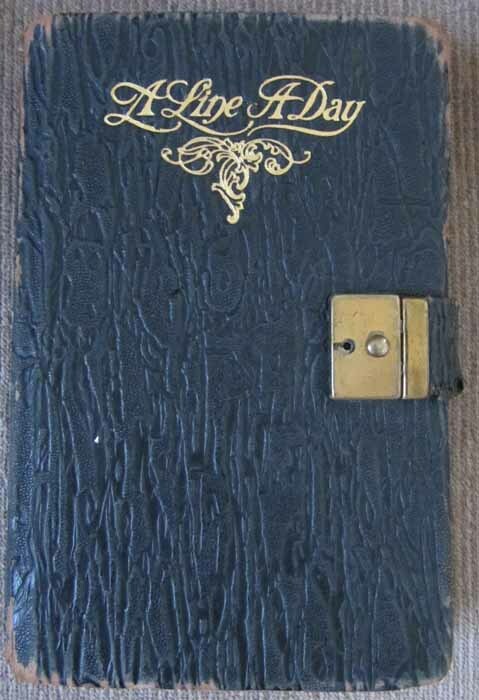 Anna comes to life come through the pages of this worn leather bound journal. I think it would be awful for Anna to get lost among my own disheveled shelves of stuff. I certainly would not want her to get tossed out during one of my frenzied "I have to get rid of stuff, now" rants. So it's time for me to pass Anna on to the next person. Perhaps you will take Anna to places she probably would never have had the chance to go. By the way, there are about three months of entries into the year 1930 which I did not post on my blog. Do you want Anna? Leave me a comment. Tell me what you think about while you are writing about your own journey. Me? I wonder if I will wind up on someone's shelf one day. Perhaps I will be picked up by one of my own, who will want to breathe life into me once again. On Wednesday, April 3, 2013, I will select the winning comment out of a hat. Gee, I hope there is more than one comment. What fun would that be, to pick one one out of a hat? Years ago, Ross and I would attend estate auctions at least once a week and sometimes two or three times a week. Around the same time we started to sell on eBay. As our attic space, closets and then rooms started to fill up with more stuff than we could ever possibly sell using the eBay “one item at time” method, we decided to rent space in an antique mall and move our stuff out of our house and into a store. We were in that business for almost 10 years. When our life’s priorities changed dramatically, we slowly began to lose interest and motivation and eventually packed up our stuff and packed it in. Since temperatures went below warm, for the past 5 months, we have literally been holed up here in our cozy little safe haven. I’ve knitted, marathon TV watched, scored millions tens of points worth of “words with friends”, read a book or two, reflected on my life, missed Joe and cried…a lot. Around about the beginning of February, I came across a stash of jewelry that I had shoved into the back of my closet. And I started to get back into the eBay business. I have been obsessed with eBay these days. So much so, the first thing I do when I get up in the morning is log in to check to see if anyone has bid on any of the items I have up for auction. Deep down I know that this is just another distraction for me, another time filler. Actually, selling on eBay is time consuming. There are many steps in the process. The first thing I must do is photograph the item. I always take lots of pictures so that the buyers get a an accurate feel for the item. This is particularly important because all of the items I sell are vintage or pre-owned. Next, I have to load the pictures onto my computer and crop them to the proper size. Once the pictures are right, I “write” the auction. What that means is that I sit with the item in front of me. I look at it carefully, sometimes under magnification. I measure it. Finally, I then describe the item with words. If the item sells, I have to send an invoice to the buyer, wait for payment, then pack and ship the item to the winner of the auction. Doing eBay has taught me so much about a lot of different things. For instance, I recently picked up a batch of Mattel Hot Wheel cars. The cars were still in their original package. In eBay lingo I would use the acronym MIP to describe the condition of the car. That means “Mint In Package”. My expertise is mainly vintage costume jewelry. Since I know nothing about collectible toys, I had to do my research on Hot Wheels. The only thing I knew about these little cars is that my sons liked to play with them and now so do my grandsons. Now, I have learned that each and every piece of information about this little toy is important to the collector. For instance the color of the package is meaningful as are the numbers in the upper right hand corner, and the lower left hand corner. I learned that the stripes and graphics applied on the cars are known as “tampos”. I learned that each year Mattel releases many series of cars. I learned that as soon as the cars are released for sale, collectors will gobble them up. The cars I have were released for the toy year 2010. The series include names such as “New Models”, “Treasure Hunts”, NightBurnerz and many more. In case you have a burning desire to know more, check out this website. I had 21 cars to take pictures of, describe and write about. Please note that photos are magnified to show detail. So, for instance this car pictured above, is from the “New Models” series. The car series number is 24/44. That means that there were 44 cars in the “New Model” series and this particular car is number 24th out of the 44. The collector number is 25/240. What this means is that for the year 2010 there were 240 different cars manufactured and this particular car is number 25. The tampos are the orange stripe and the “No Ghost Buster” symbol. In 5 days, 19 hours and 45 minutes, when the auctions close, I will know if my initial $10 investment in these 21 cars has paid off. Oh, if you happen to have one of these hanging around in the bottom of your child's toy box, one just like it sold for $3520.00 on eBay recently. No, not by me. So, that’s what I have been up to recently. You know one of the things I feel I have to mention is that I am sure my daughter also loved these little cars, and I think my grand daughter had one or two also. 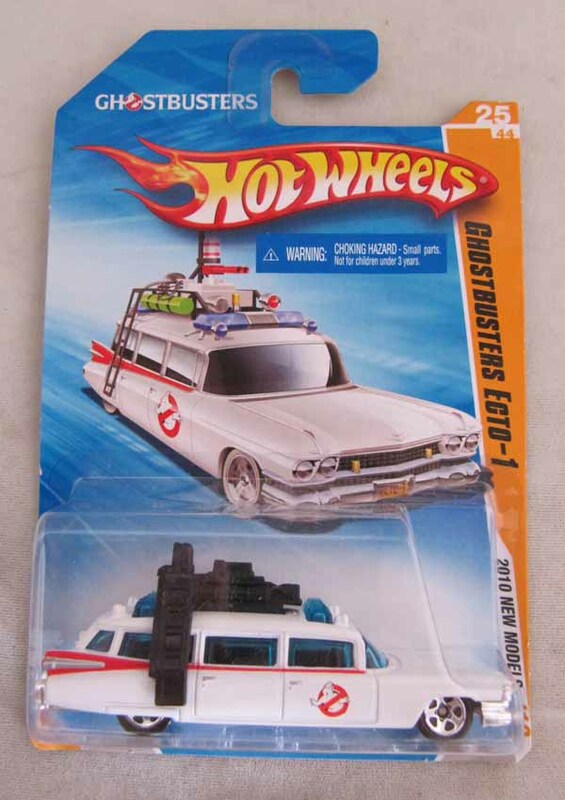 Even though I had no idea Hot Wheels cars were so collectible and potentially valuable, I have bought a good many of these cars through the years for the boys and for the girls. By the way, in case you made through to the end of this post, we have wonderful news to share. In September my 6th grandchild will be born. 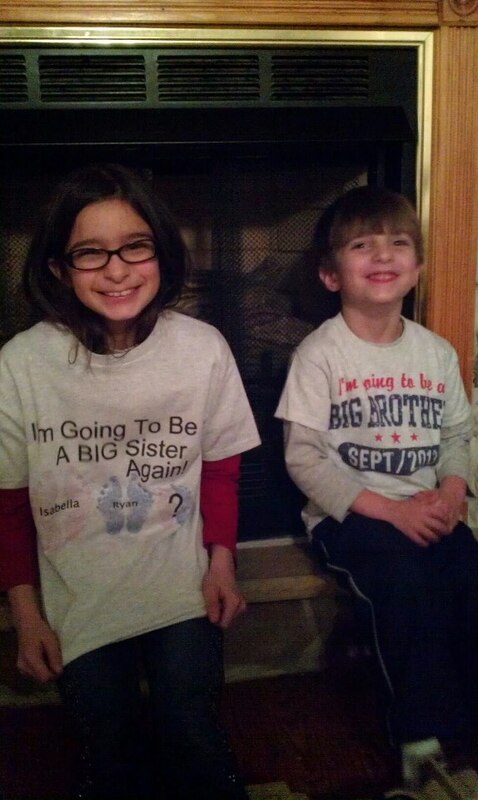 My daughter, her husband, Bella and Ryan are excitedly expecting. 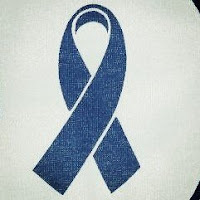 March is Colorectal Cancer Awareness Month. Blue is the color that was chosen for the awareness ribbon. Today, March 1st, is "Dress In Blue Day". "Colorectal cancer screening saves lives. If everyone who is 50 years old or older were screened regularly, as many as 60% of deaths from this cancer could be avoided. Of course, I support the push for people to get screened. Early detection is the key. So sad and so tragic is the fact that my son was 34 when he was diagnosed. He had no symptoms and no family history and therefore no reason to even consider a colonoscopy. Should the recommended age for a colonoscopy be lowered? I'm sure the insurance companies would balk at that. I suppose the question of where the line should be drawn is a difficult one. I don't know what the answer is. When my son Joe was diagnosed with stage IV colon cancer in January 2010, I turned to the web for answers, but mostly for glimmers of hope. 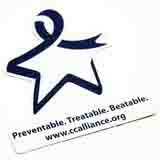 When I googled "survivor's of stage IV colon cancer", I happened on one of the most encouraging websites "Colon Cancer Alliance". An inspiring area of the site is the "Personal Stories" section. I browsed through their products and ordered the blue bracelets, and the star lapel pins. When I think back to that time I realize how desperate I was for, well a miracle, I suppose. Now, I also realize that in my state of shock and stupor, I actually thought that by wearing the bracelet and lapel pin, somehow Joe would get better. I have such mixed feelings about any of the disease awareness campaigns. I am mainly cynical about the millions and millions of dollar donations raised by hundreds and perhaps even thousands of separate and different organizations. I often wonder, what if all of these separate organizations pooled their resources, wouldn't that be better? I suppose if I decide to even get dressed today, I might consider wearing blue. My blue makes me sad and it makes me angry, and it brings with it the bitter taste of the evil that is cancer. The evil that took away a father, a husband, a brother, a friend and our son. Today, my blue will be worn for my son James. Go get your colonoscopy! 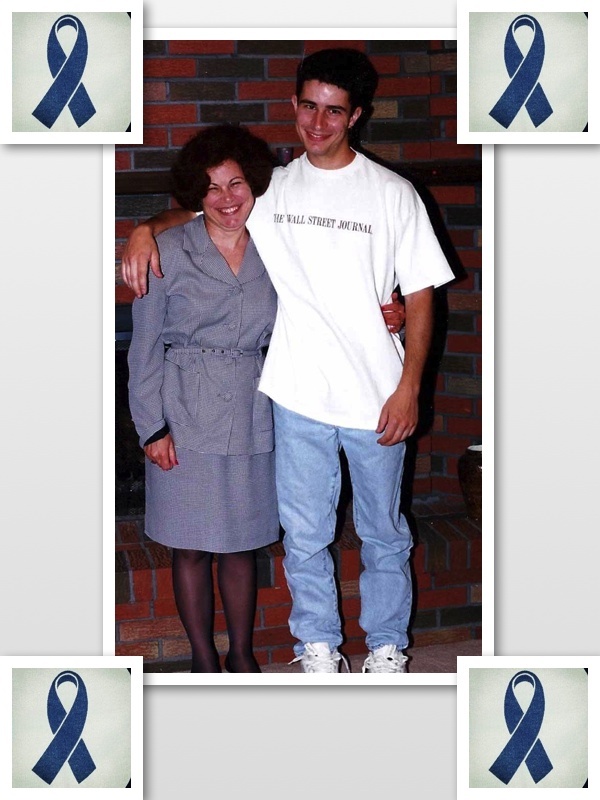 My blue will be worn for my aunt Dolores. Go get your colonoscopy! My blue will be worn for you. Go get your colonoscopy! But mainly my blue, though, will be worn in memory of my Joe. I miss him so much.